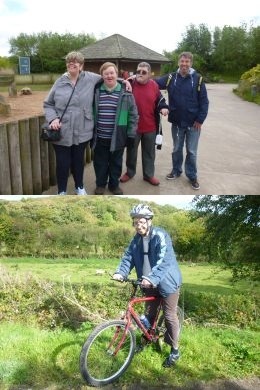 Orchard Vale Trust is a charity based in Somerset providing residential care and day opportunities for people with learning disabilities. Since 1986 Orchard Vale has opened a further three homes in Somerset. We now also offer day care for around another 15 people. The Trust continues to be very much focused on individuals and families with many users’ family members involved in running and helping the Trust in numerous ways. Orchard Vale's work was, from the beginning, underpinned by core values of respect, dignity, autonomy and choice. Today we believe our services must be entirely focused on meeting each individual's needs. That alone is our agenda. We believe all individuals, whether or not they have a disability, have the right to be treated with respect and dignity. Above all, we believe they should be in control of their own lives as much as they can be. That means being able to make choices, undertake activities that are meaningful and fulfilling, and participate fully in their local communities. We are delighted you are considering running for OVT in the 2017 Virgin Marathon. The funds you raise will go directly to finance our services. We use our Marathon money to provide things otherwise we could not provide such as our highly regarded workshop and horticulture activities and to provide individual resident’s holiday. We would welcome you to contact us to arrange to visit our services before or after you run so you can come and see what your sponsorship funds are being used for and to meet some of the great individuals that we provide services to. We try and keep individuals up to-date with our activities and news via our webpage and our Facebook page which is regularly updated.